The three stand-alone programs, which revolutionized the creative industry for the past three decades, have been moved into End-of-Life track as of today, meaning Adobe will no longer support them or issue updates and patches. 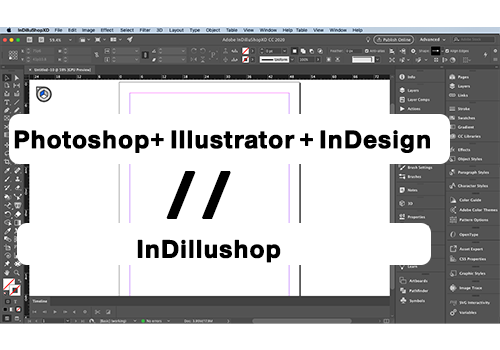 Instead, active Creative Cloud subscribers who have Auto Update enabled in their Creative Cloud application settings will find all versions of those programs have been deleted from their hard drive overnight and replaced with InDillushop/XD, which weighs in at just 397 GB. Other CC subscribers can download the new app on their own from the CC application. In our early pre-release testing, it appears that Adobe has created the ultimate app, with every useful feature from InDesign, Illustrator, and Photoshop included, from the Twirl filter to Conditional Text. InDillushop/XD is based on Adobe’s new XD framework, making the software lightning fast. Due to its advanced architecture, it can run on virtually any mobile device, including a smartphone, Apple Watch, Blackberry, and first-generation Kindles. As you can see in the image above (click to enlarge), you may never have to open another program again! With over 1,200 panels and toolbars (tip: make a custom workspace), everything’s at your fingertips.